Huawei took the wraps off its Y9 (2019) and filled all the specs blanks that the leaks left. 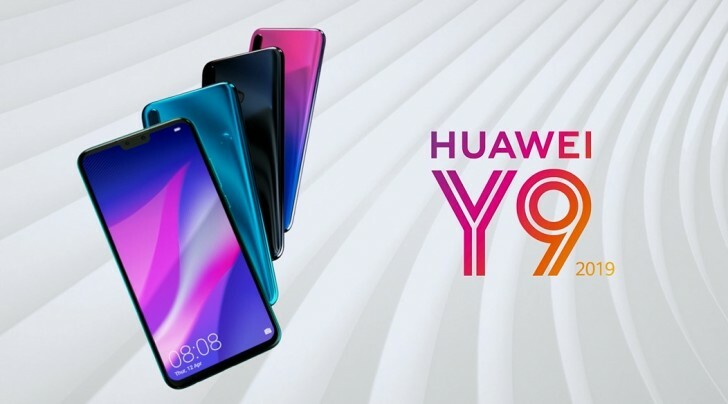 The Huawei Y9 (2019) has a large 6.5-inch 1080x2340px screen with a notch, a Kirin 710 chip mated to either 4GB or 6GB of RAM, a flashy two-toned color finish and an ample 4,000mAh battery. There are a pair of dual cameras on the Huawei Y9 (2019) a 16MP + 2MP on the rear and 13MP + 2MP on the front. In both instances the auxiliary 2MP snapper is meant to collect depth data for portrait mode shots. Memory-wise the Huawei Y9 (2019) will launch with 4GB of RAM and 64GB of storage and 6GB of RAM with 128GB of storage. Both configurations will be equipped with a microSD slot for further expansion. The Huawey Y9 (2019) will launch with Android 8.1 Oreo under Huawei's own EMUI 8.2. Huawei hasn't yet shared when the Y9 (2019) will go on sale or what price it will command.